Simple one for today. Id the monument. The 2010 Winter Olympics logo, named Ilanaaq the Inukshuk. Cracked by many of you. Ilanaaq the inukshuk mascot for the Winter Olympics. This is probably located in Whister. 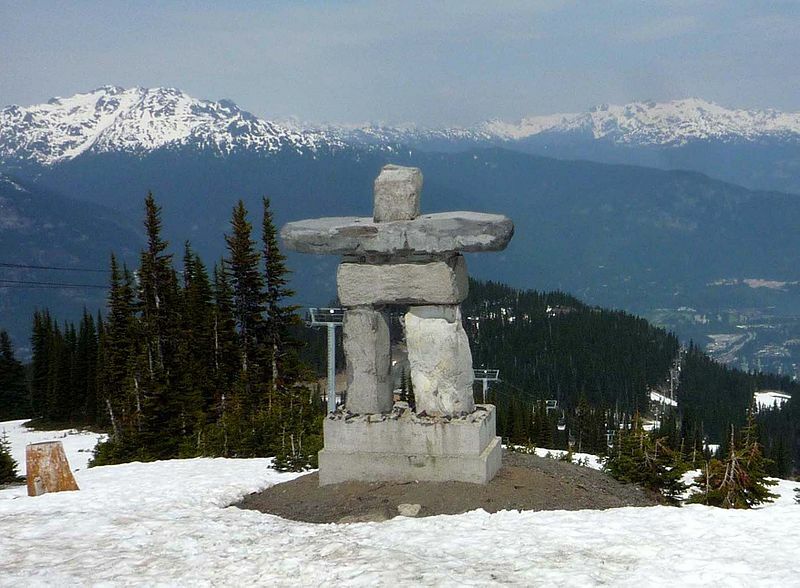 These type of monuments are called Inukshuk. This one is called Ilanaaq. This was the mascot for the 2010 winter olympics in Vancouver. Illanaq – Vancouver 2010 logo. Mascot of Vancouver Winter olympics. Ilanaaq, the logo of the 2010 Winter Olympics, as an “Inukshuk”.